I never thought that sending and receiving money would become as easy as text messages. I mean look at how far we have come. WhatsApp is still busy rolling out the all-new UPI based payment system, and I was happy to see it on my iPhone this morning. In fact, I was checking my phone every few hours for the last 2 days waiting to test drive it. I was excited. Note: WhatsApp Payments is a server-side rollout, meaning it will show up on all devices in a few days. But fret not, at the end of this post, I’ll also show you how you can get WhatsApp payments even though, you didn’t get the update. India is one of the first few countries to receive this feature while the rest of the world is still waiting to see that option. It is noteworthy that I didn’t have to update my app or do anything else. The changes were made server side. So you will have to check it manually. Since my Android is yet to receive this update, I will be using my iPhone, however, the process remains the same. Step 1: Launch WhatsApp and open a chat with someone, whom you want to send money. There is the regular attachment button. When you click on it, you should see a new option called Payment with the INR currency symbol next to it. Now, you will be asked to verify your WhatsApp mobile number. If you are an iPhone user, you will have to send the code manually. Click on Verify via SMS and the messaging app will open. If you are an Androiduser, you will receive an OTP that will be auto-detected. You don’t have to leave the app. Note 1: SMS charges will be applicable which will depend on your carrier. Note 2: I had already created my UPI account, but if you haven’t, you will see another screen where WhatsApp will ask you to create a UPI account and PIN. Once verified, you have to select your bank account on the next screen. Select any one. If your WhatsApp number is also added to the bank you have selected, you should see your bank account name and number automatically on the next screen. Note 3: It is necessary that your WhatsApp number is also attached to your bank account. Otherwise, it may not work. You will now be asked to verify your bank account by entering your debit card number. Do it and you are ready to roll. What’s the minimum amount that I can send via UPI? Is there any transaction charge? How long does it take to reflect the payment in my bank account? Can I use WhatsApp’s UPI feature make small payments to roadside vendors like lorries? PM Modi is gearing towards a cashless economy which means that irrespective of the location, amount, and person, you should be able to make a payment via UPI. Let’s see how it goes. Note 4: Both the sender and the receiver must have UPI enabled and activated in order to initiate a transaction. Otherwise, you will receive this message. Now that everything is set up, I will send a test payment of INR 10 to see how it goes. A smaller amount was selected to see if this is a practical solution that can be used anywhere and everywhere, irrespective of how inexpensive the item you are buying. Click on the payment option again. You should see the name of the receiver and your bank account details, partially hidden. Enter the amount here with a custom note. You will be asked to enter the UPI PIN that you created in the previous steps. Click Submit. Just like you would send a text message, you will now send the money when you hit the paper airplane button. You will see a message with the amount. 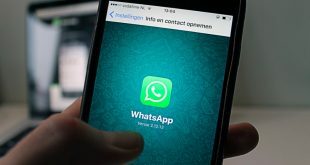 How to Get WhatsApp Payment? 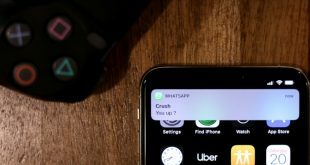 As of now, WhatsApp Payments is working on an invite basis, but there is a way to get it. All you need is a friend who already has the Payments feature on WhatsApp enabled and they can activate it for others by choosing the option from the chat window. Just ask them to try and send you money using WhatsApp Payment (they don’t even have to transfer money). After which, your friend will see a pop-up that says you need to set up WhatsApp Payments. Now, if you go to WhatsApp Settings, you’ll see the payment option just below the notification. Simply tap on it, accept terms and condition and you are to go. I wish they would have added the ability to make payments via QR code. Why? 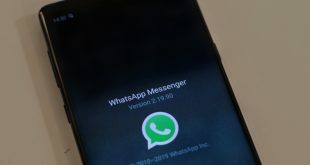 You cannot send messages or payments on WhatsApp without saving number contacts. I am sure a lot of people won’t be comfortable with the idea of sharing their numbers with unknown people. WhatsApps money transfer is not cross-platform which means you cannot send money to other ewallets or apps. You cannot use it for shopping. WhatsApp Payment feature currently only works on mobile devices. You cannot make payments using WhatsApps web. You cannot send money to all the people in the group at once. You will have to send them on a one-to-one basis. Note 5: I sent a message to WhatsApp Payment support from within the app asking them whether there is any way to send and receive money via QR codes. This is because not everyone would be comfortable and willing to share their number with unknown people. Unfortnately, that is not supported at the moment. We are always working to improve our app and will take your suggestion into consideration. I hope WhatsApp Payment will work more like the popular BHIM app in the future. The money was transferred almost instantly, just like your messages are delivered with a single grey click, then double-click for delivered and double blue tick for read. You can add new bank accounts and check recent transaction history by going to Settings – Payments. UPI works flawlessly on WhatsApp. It is fast, secure, and easy to set up and use. Since it is instant and accepts small amounts, you can use it for pretty much anything.